What is a Dogbone Mount? AutoInstruct » Under The Hood » What is a Dogbone Mount? 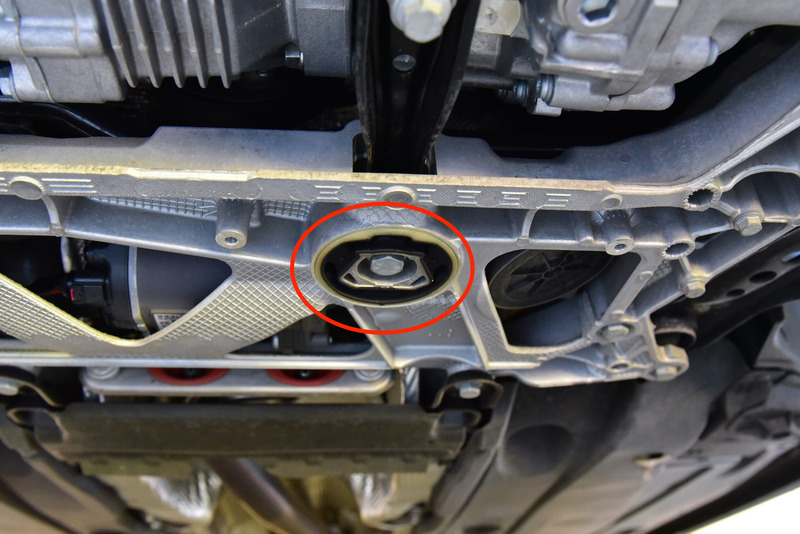 The term Dogbone Mount is often used in the Volkswagen / Audi / Skoda Community, and as a newcomer you’ve probably been left wondering what this part actually does. Technically speaking this is actually known as a Pendulum Mount, and we should probably be using this term instead as it’s almost self explanatory. The Pendulum Mount is responsible for restricting and absorbing torque transfer created by transverse mounted engines under acceleration, and reduces the pendulum effect on the upper gearbox and engine mounts. 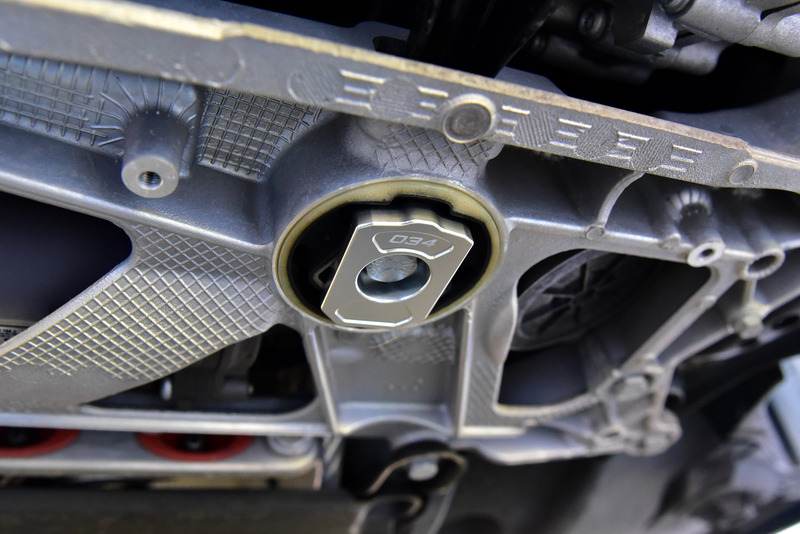 Without this mount, the engine and gearbox would sustain a considerable amount of movement. The nickname ‘Dogbone’ loosely represents the shape of the entire mount assembly. In this blog post we’re going to talk about solutions for the current MQB Platform. For earlier models the bulk of this content will still be applicable, however you can view our full range of dogbone related products here. Engineers develop most cars with comfort and NVH (Noise, Vibration, and Harshness) in mind, and as a result the Pendulum Mount is made from rubber in all Volkswagen, Audi and Skoda vehicles (where applicable). This rubber ‘Puck’ has multiple hollow voids and serves purpose to reduce pendulum movement. For the everyday driver this part operates seamlessly in the background, however for those with performance in mind, the factory mount allows for too much movement. This movement is part cause to serious wheel hop and jerkiness felt under hard acceleration, neither of which are desired by the enthusiast. As a result, manufacturers have come up with a few different options to solve this problem. Circled: The Dogbone Mount. Found on the underside of the car, between the front wheels. The Dogbone Mount Insert is a cost effective and simple solution to minimise a large amount of this movement. Simply remove the main bolt, install the insert, and re-fasten the bolt. With this quick modification you can expect to see a large reduction of movement and wheel hop, with only a minimal increase to NVH. After a few weeks of driving the NVH reduces even further as the dogbone bends slightly into shape, fitting tightly within the rubber puck. Due to varying OEM parts supply, there are two versions of the puck in existence for the MQB Platform. Therefore you’ll find two different ‘Inserts’ from most manufactures. At AutoInstruct we sell 034Motorsport Inserts, in both Version 1 and Version 2. Check the product descriptions to determine the exact version you need. You can view our Dogbone Mount Insert tutorial here. For those who want more, a full dogbone replacement is the choice to cease the majority of movement, and progress even further towards zero wheel hop. This option actually replaces the OEM rubber puck and steel arm that connects the puck to the underside of the gearbox. Once the rubber is cut away, the new piece, typically made from urethane, is slid into position and fastened into place. If you’re looking for a full replacement, we offer a mount from HPA Motorsports. The last point is probably the most crucial – FWD vehicles suffer wheel hop much worse than AWD. As a result, FWD owners may be more inclined to purchase a full dogbone replacement to help mitigate this issue. Owners with a manual gearbox can also enjoy more accurate shifts and clutch feel with either solution. 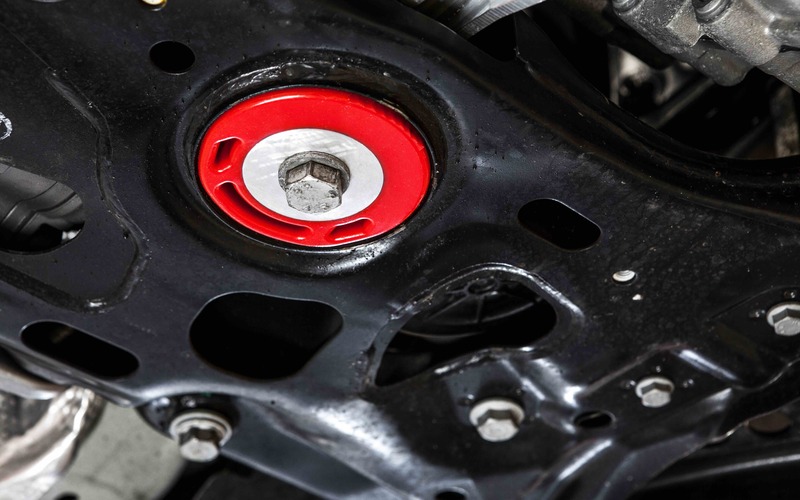 To further enhance your vehicle, you may also wish to consider replacing both upper engine mounts with stiffer alternatives, such as the Density Line Motor Mounts from 034Motorsport.